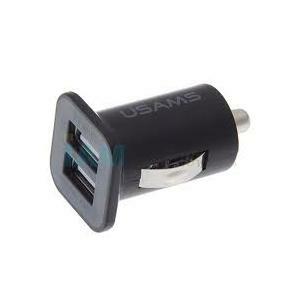 Dual USB Tablet & Phone Car Charger in Black. Charges 2 x iPhones, Mobile Phones, Tablets, SatNavs etc at the same time. 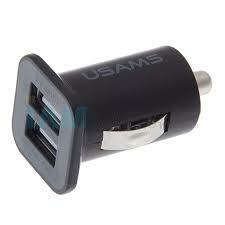 Turns any Car Cigarette lighter into a DUAL USB Power Port . 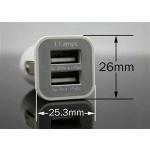 For use with the charging lead provided with your product or USB Charging Leads are sold separately on this site. 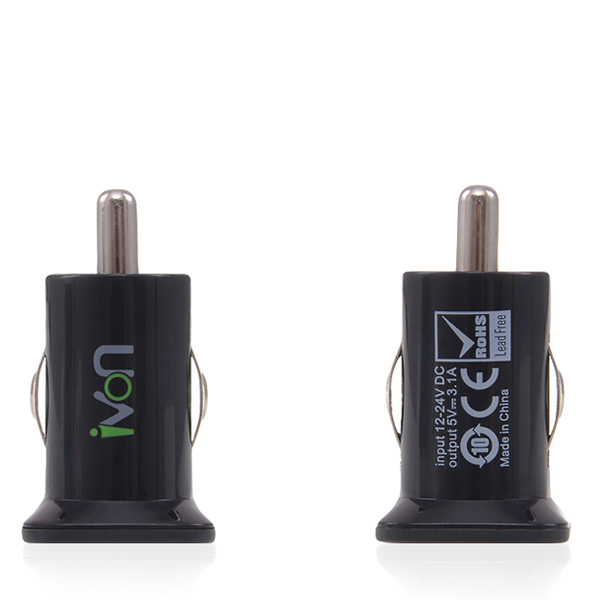 In car charger for your on the move device. Provides power for your handset when in your vehicle. Simply plug in your USB cable and your away. 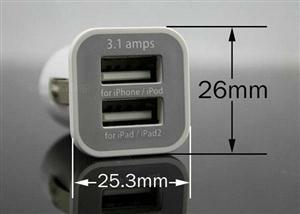 For Use with All Tablets iPhones, Mobile Phones, eReaders Bluetooth products & much more. Can this charge 2 smartphones at the same time i.e. iPhone 4S & Samsung S4, or would the 2 amp damage a smartphone. Hi yes its fine to use the lower output slot to charge a smart phone. Are both sockets usable with HTC One phone ?. Which socket is best suited for Tom Tom Sat Nav ? Hi both sockets will work with both of those items. Hi yes these have two slots 1amp and 2.1amp so you can charge phones and tablets with them. is this charger safe for Sony Xperia J phone, Blackberry Curve 8520 phone and Google Nexus 7 tablet?. Can I charge a phone and the tablet at the same time? Hi yes it will work with those phones and yes you can charge a Google Nexus at the same time. Hi yes you could do that. Does it charge in car for Nexus 10 ?